On Saturday night, music fans, after reeling from the loss of Prince, were treated to a bit of happiness. Beyonce dropped her new visual album Lemonade on Tidal after an hour long special on HBO of the same name, and since it's been about three years since we've received the musical blessings of Queen B, you best believe that the news was welcome. The album is already trending, but one of the songs is gaining a lot of attention. Is Beyonce's "Sorry" about Jay Z? Let's examine the lyrics. 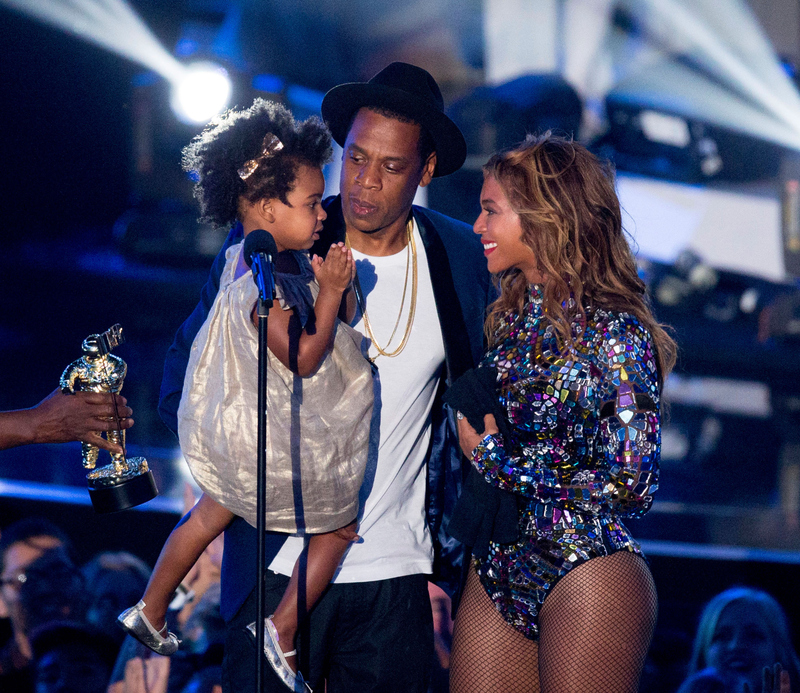 The Lemonade HBO special didn't shy away from addressing the rumors that she and husband, and father of their child Blue Ivy, confronted infidelity. The special hinted that Jay Z cheated on Beyonce, but nothing was explicit. That's how Beyonce rolls, though. Innuendo is key. Bustle reached out to Beyonce and Jay Z's reps for comment, but has not yet heard back. The hook, which is starts off the song repeats again. Now, does every song by an artist have to autobiographical? Not in the least. But Beyonce has a tendency to reveal her truth through music — see "Blue" and "Heartbeat," a song about her miscarriage — so it's possible that "Sorry" references her emotions after Jay allegedly cheated on her. The lyrics "Today I regret the night I put that ring on/ He always got them f*cking excuses" sounds like someone regrets their marriage, and "Me and my baby, we gon' be alright/ We gon' live a good life" sounds like someone who knows that despite a divorce or a split, she and her child are going to be just fine. There are strong suggestions throughout Lemonade that Jay Z and Beyonce experienced a bumpy road in their marriage (even the name itself implies that she ended up with something sweet after being dealt something bitter) but until she reveals without question the motivation for "Sorry," we're left to speculate. An anthem is an anthem, no matter what the intention. Lemonade, with "Sorry," is currently on Tidal.